We have lots of great opportunities for experienced and newly qualified nurses in our Scheduled and Unscheduled Care areas. 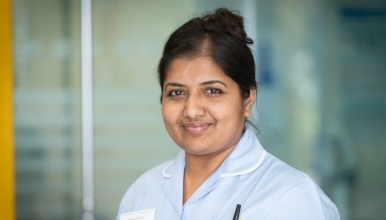 If you are passionate about delivering the best care your patients and are looking for a demanding but highly rewarding role in a supportive and friendly environment, then we are looking for you. Staff Benefits –Salary sacrifice car scheme, Home electronics salary sacrifice scheme, NHS Discounts, generous annual leave entitlement, access to the NHS Pension Scheme. Please submit an online application, or contact Corinne Smith on telephone 01743 492402 or email corinne.smith2@nhs.net .